Opportunity Knocks - Might the Lord be Calling You? Have you ever been at Mass when a Missionary Priest was visiting and listened to him speak about his mission? Maybe the mission was in Africa or Latin America and you heard of the needs of the people there and how far your dollars would go to help those in need. Sometimes, the missions are here in the United States where the people served are in impoverished areas. Maybe you were surprised to learn that the Church has missionaries here who work to evangelize and care for the physical needs of the people. So you reach into your wallet and give what you have with you and think maybe you’ll send more later. All summer long the Office of the Propagation of the Faith sends missionaries to parishes all over the United States to ask for prayers and money. But, have you ever thought about doing more than just sending money and saying a few prayers? How about giving some time and talent? Yes, even the laity serve in the missions and with the dwindling numbers of priests and religious, the future of the mission field may depend on lay men and women just like you. Let me tell you a story. Jeff & Kathy Foley were normal, church going Catholics, just like you. We had wanted to go into the mission field when we were young but that didn’t work out. Instead, we worked in our parish, raised our children and wondered what we would do in retirement. As we neared that “golden age” we began to seriously think about what we would do. You can only play so many rounds of golf or read so many books. Something reminded us of our desire 30 years ago to be missionaries. We decided to see what we could find here in the States. We did a lot of research and finally found the Office of Black and Indian Missions right in our back yard. The director checked with a few Bishops and found a few missions who were willing to talk to us. 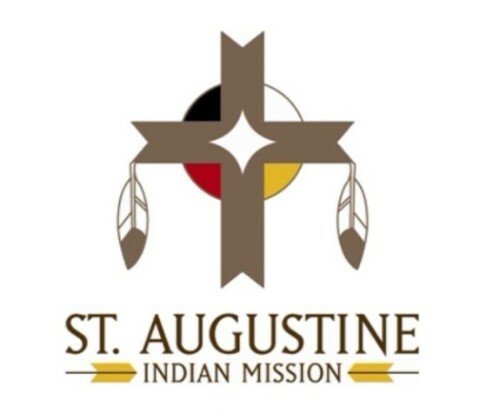 Long story short, we visited the St. Augustine Indian Mission that serves the Winnebago and Omaha tribes in Northeastern Nebraska and fell in love. We didn’t even know there were reservations in Nebraska. And here’s a secret – many Nebraskans don’t know there are reservations here. We’ve been here for 2 ½ years of our 3-year commitment. The time has rushed past as we have learned so much about the wonderful cultures of the different tribes. We’ve helped at the school and helped set up a Thrift Store for the Omaha Tribe. We met people we would never have come across otherwise and learned to look past appearances to find amazingly resilient people of faith. We’ve enjoyed living on this beautiful land with buffalo and wild turkeys as neighbors. We’ve been amazed by the contrasts which abound: the struggles of everyday life in this food desert in the middle of the breadbasket of the world, schools housed in beautiful buildings but ranked at the bottom of the list of Nebraskan schools, besieged families in a culture that values family and reveres elders. The sharp contrasts of life on the reservations continue to amaze us. We’ve been in awe throughout our time here but now it is time to get ready to return to our six children and four grandchildren in Maryland. One of the things we learned here was the value of grandparents passing on tradition and knowledge and love and we know that is where we need to go next. But we leave behind a place of great need just waiting for someone to say yes, I’ll help. While we’ve been here, Kathy worked in the office where the important work of fundraising to keep the school open goes on. Jeff has partnered with the Missionary Benedictine Sisters who serve here to develop an outreach program which has started the Thrift Store and hopes to do more to assist the residents. We’ve served as lay ministers and even run RCIA. We have tried to be available to do whatever needs to be done but that has no one to do it. We’re looking for someone – a retired couple or single person – who still has much to give and talents to share. The “job” comes with a small, nicely furnished home, a food budget and a wonderful faith community comprised of 2 priests, 4 Missionary Benedictine Sisters, and 4 parishes of faith filled people. What this couple or single person will do once they get here is very flexible. It depends entirely on the gifts you have to share. The commitment is for 1 year at a time with the expectation of being here at least 2 years.